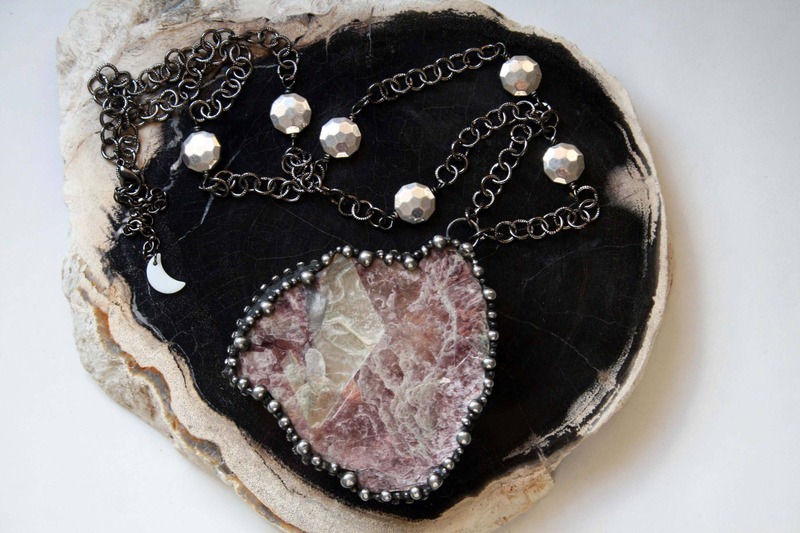 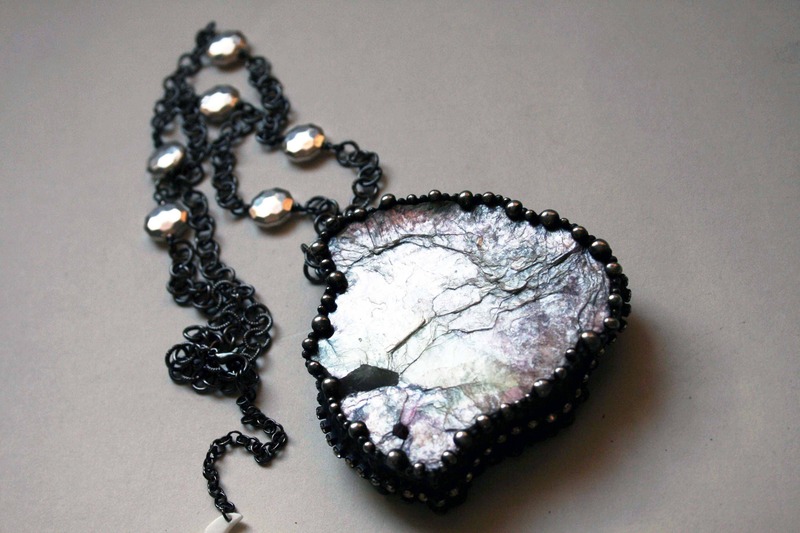 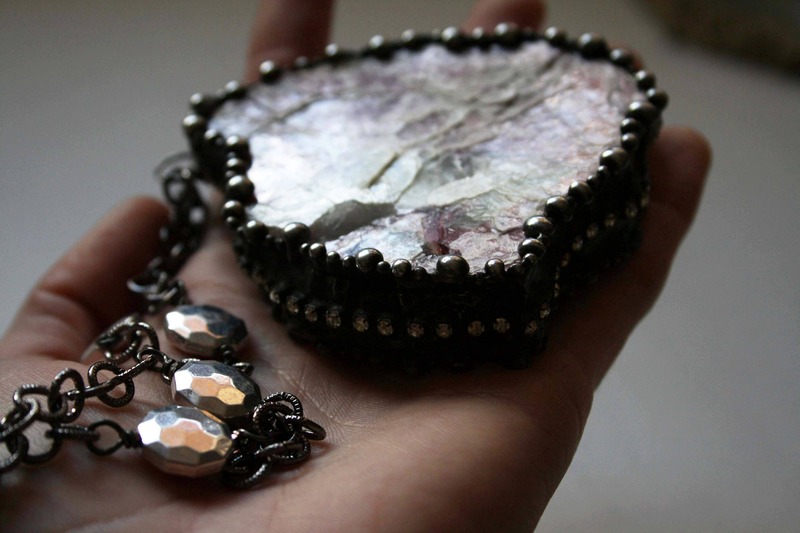 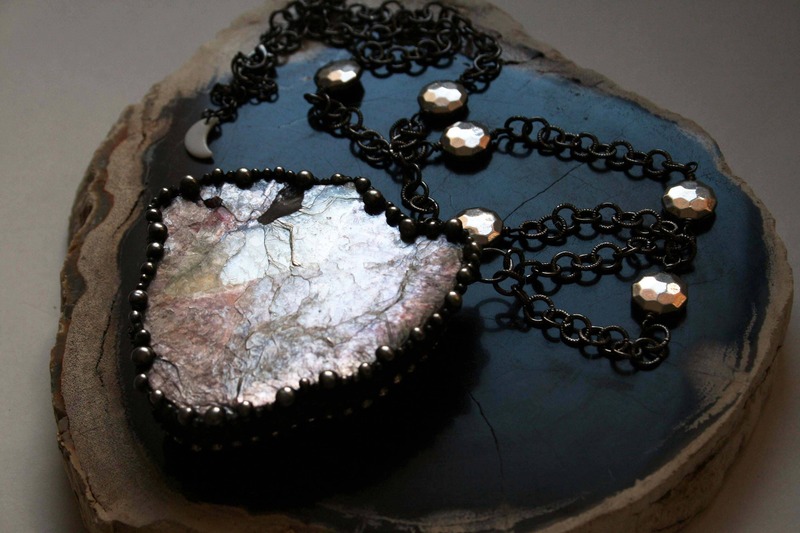 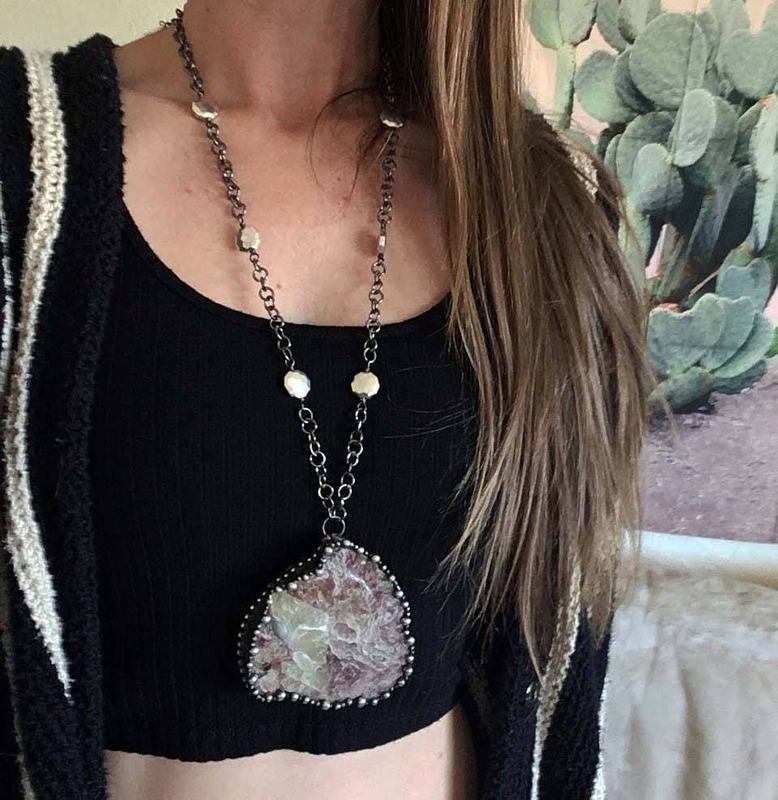 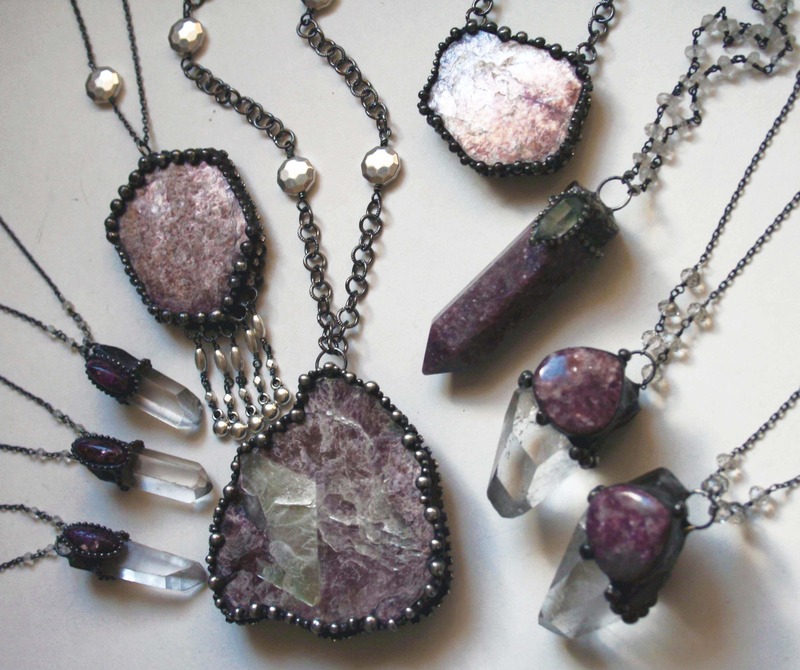 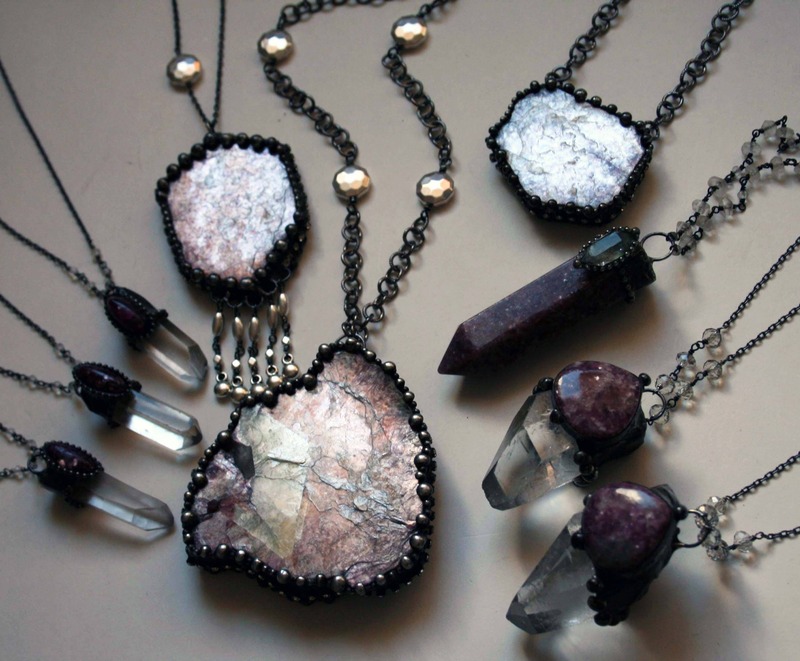 One necklace, featuring a very large raw lepidolite mica slab, set in an artistic handmade sculptural solder setting, adorned with crystal rhinestone studded details, double sided so you can enjoy both sides of the crystal. 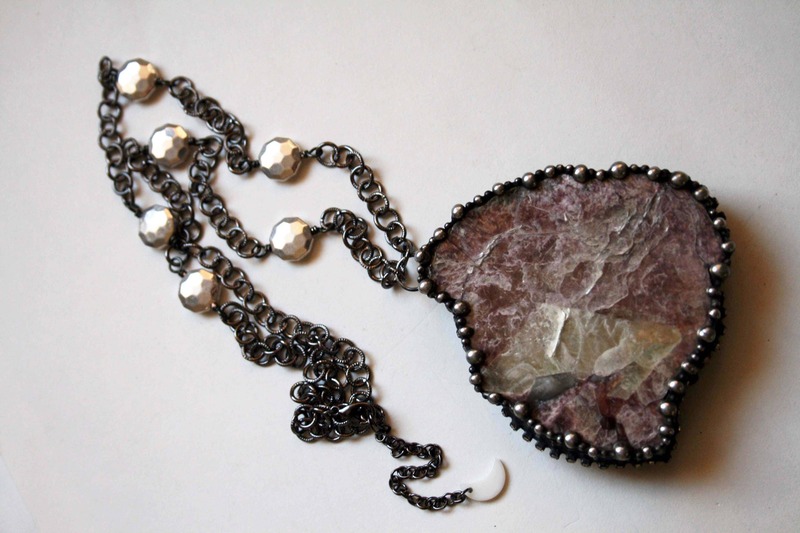 Gunmetal plated iron chain is adjustable between about 28" - 31" long, with handmade silver beaded details, a lobster clasp, and a mother of pearl crescent moon charm. 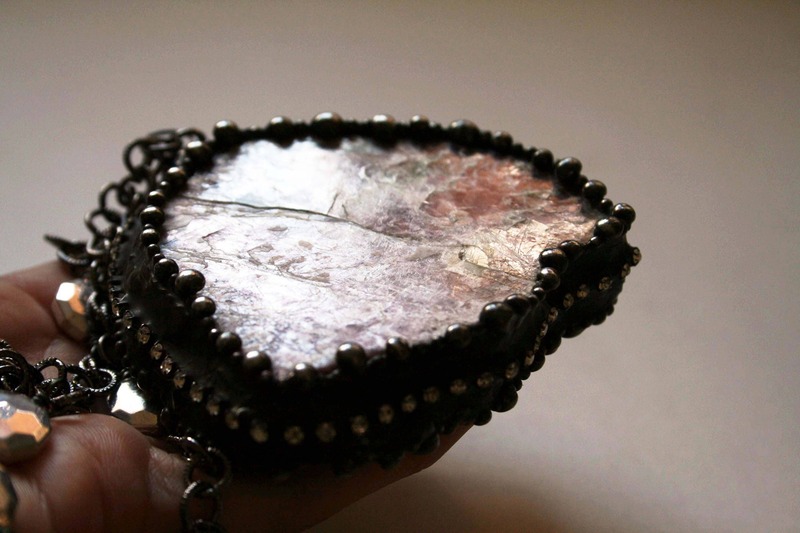 Pendant hangs about 3.25" long, including the bail.